The Vischer Ferry Nature and Historic Preserve is a 600 acre area between Riverview Road and the Mohawk River in the Town of Clifton Park. The Preserve includes a segment of the original 1825 Erie Canal and Towpath; a segment and a number of structures of the 1842 Enlarged Erie Canal; and the current NY State Barge Canal. The Preserve also contains roads and facilities for the Town of Clifton Park water supply. 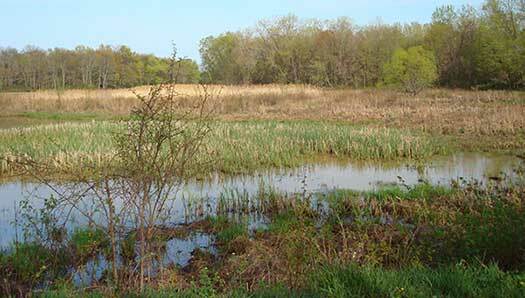 Bird habitats include the Erie Canal segments and water control holding ponds and facilities, open fields, cattail marsh, scrub-shrub marsh, vernal pools, upland hardwood forest, evergreen thickets, open fields, seasonally flooded river bottom hardwood, the Mohawk River and its shore. Vischer Ferry has been named by Audubon NY as an Important Bird Area (http://ny.audubon.org/BirdSci_IBAs.html) and by the State of NY as a Bird Conservation Area (http://www.dec.ny.gov/animals/30935.html).